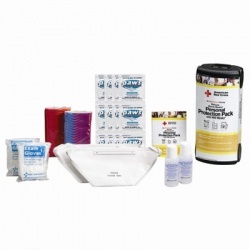 Find all the products you need in our Blood borne Pathogen Protection Kits specially made to clean up spills of blood or OPIM (Other Potentially Infectious Materials) in any first aid emergency. 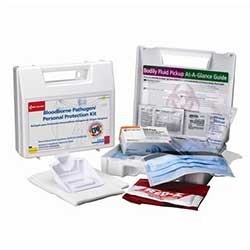 These Bodily Fluid Clean up and Personal Protection kits are designed to comply with OSHA BBP requirements and protect rescuers from contagion. 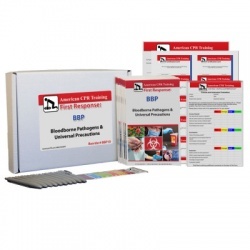 Botiquines para Derramamiento de Liquidos Corporales/Botiquines para Protección Personal Also see all other Bloodborne Pathogen Products to keep your kits fully supplied. BBP & Personal Protection Kits There are 19 products. 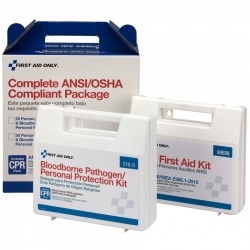 Bloodborne Pathogen/Personal Protection kit/Case of 10 @ $19.87 ea. 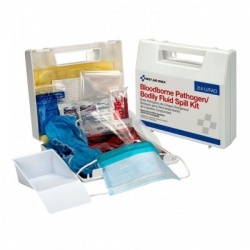 Bloodborne Pathogen/Personal Protection kit/Case of 10 @ $19.87 ea. Bloodborne Pathogen/Personal Protection w/ Mircroshield/Case of 10 @ $27.87 ea. 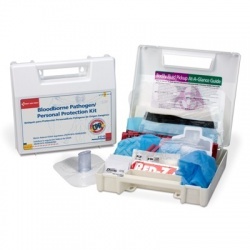 Bloodborne Pathogen/Personal Protection w/ Mircroshield/Case of 10 @ $27.87 ea.